100 Story Studio is a series of full-day creative writing workshops, run on selected Saturdays at 100 Story Building. Award-winning and best-selling children's and YA authors present workshops foc ..
234 Fun Galore in Braybrook is one of the largest indoor entertainment centres in Melbourne; With at a huge 2.5 acre complex that houses BOTH a Go Karting Race Track and Laser Tag Arena (as well as ..
A Maze 'n Games offers one of Australia's largest timber mazes, 18 hole mini golf course and you can try & solve some of our large range of puzzles or relax at the cafe or use the BBQ facilities A ..
Victoria's biggest and most exciting theme park, Adventure Park is opening its gates for another supercharged summer! Adventure Park is loads of fun for the whole family and kids of all ages with ..
AllSportz give your child the individual focus and attention they need to enjoy a lifetime of healthy sport participation. Our experienced coaches know how to help children of all ages and skills-leve ..
Fun family attraction on Phillip Island. Perfect for families or groups looking for things to do on Phillip Island that everyone will enjoy. A Maze'N Things is a magical world of illusions, puzzles .. The Ashcombe Maze & Lavender Gardens is home to Australia's oldest and most famous hedge maze, a beautiful circular rose maze, and the year round flowering Lavender Labyrinth, all set among 25 acres o ..
Auscarts Racing is the best go kart track, the best facilites and the best Racing! Purpose Built Go Karting Racing The Port Melbourne setting is fitting for our state of the art go karting track ..
For over 33 years, Australian Sports Camps (ASC) have provided the best sports coaching for Australian children aged 6 - 16. We offer interactive and fun skills-based programs to ensure that partic ..
Avenel is a very different maze to those of England's Hampton Court or France's Palace of Versailles. For one thing it is set in a stunning Australian landscape, overlooking, through gum trees filled .. Awesome Fun is a Cafe Playground and Party Venue with indoor play equipment designed for children up to 12 yrs that facilitates active, imaginative and developmental playtime. Our coffee is bouti ..
Bairnsdale Fun Park is 10 acres of exciting activities and adventure including Laser tag, Combat Archery, Hover Archery,Archery, Mini Golf, Bungee Trampoline, Space Ball, Batting Cage, Merry-go-round, ..
BASE Camp Kids Children have hands-on fun with our exciting baking, art and science workshops and birthday parties. The workshops are great for curriculum days and playdates. We run school holiday ..
A-MAZE-ing experiences in Victoria Hedge Mazes are surprisingly good fun. They combine the suspense of being lost, the frustration of dead ends, and the thrill of success when you find the way ..
Boneo Maze is not just a destination, it is an experience like no other. Surrounded by 27 acres of Native flora and fauna you start to feel the effect of this natural environment immediately. A calmin ..
Take time out while your children are playing and learning in the most exciting jungle kids playcentre in Melbourne. Bonkers is a special children's playcentre where all parents, grandparents, guar .. Fly though the air and bounce off the walls. BOUNCE is a massive indoor trampoline universe all about jumping high and landing soft & safe. Imagine over 100 interconnected trampolines, over 500 sq ..
We learn, we build, we play with LEGO Bricks Glen Eira & Stonnington Districts Play-Based Learning Program with LEGO Bricks and Robotics We believe that kids learn best through hands-on activ .. The Brimbank Bicycle Education Centre was formerly known as Green Gully Traffic Safety Centre. It was originally developed as a joint project between the St Albans Rotary Club (now Brimbank Central) a .. Bubble Soccer 2u is a new sporting craze that is sweeping across Melbourne. It started with Bubble Soccer, a European inspired game where players are strapped into a giant zorb suit and run around ..
Buzy Kidz is an activity and play centre where your children learn life experiences, whilst having a really good time in a friendly, safe and clean environment. Here's just a taste of what we offe .. Clip Up... Climb Up... Fun Up! Take up the challenge at Clip 'n Climb Melbourne. It's the newest concept in indoor climbing, NZ bred and built, and the first of its kind in Australia. There's c ..
Dizzy's Castle in Maribyrnong is one of Australia's premier play centres, incorporating 1300m� of fun and fantasy. From the moment your family enters the castle, your kids will be enchanted by our ..
Open 10.00 - 4:30pm weekends 7 days during school holidays. Closed public holidays. Emerald Bank Leisure Land is a family friendly destination with plenty to see and do. Lloyds Produce Stor ..
New Adventure Park, Extreme Air Adventure opens in Melbourne Are you ready for the newest and latest craze? We are pleased to announce the opening of Melbourne's new adventure park, Extreme Air Ad .. Fit Pod Kidz Gym in Melton is a kids only gym! All our instructors are qualified with certificates 3 & 4 in fitness or higher. Heaps of fun for ages 5 - 13. We have safe and easy to use equipment ..
FlipOut Trampoline Arena is a crazy array of wall-to-wall trampolines that turns trampoline into the latest fun/fitness craze for people of all ages. Great for kids, adults, families - everyone's welc ..
Fun City Entertainment Complex in Shepparton is renowned for its Go Karting track in Victoria. Book from one of our amazing Go Karting packages today and get the most out of your go karting experi ..
Melbourne's Most FUN Water Theme Park With 24 Awesome Rides & Attractions, 2 NEW RIDES this Season including; NEW Gravity Wave, World's Biggest, Longest & Tallest Proslide Wave and our NEW Voodoo ..
Funfields, Voted Melbourne's HOTTEST Themepark Funfields is open weekends, public and school holiday's including: Melbourne Cup Boxing Day New Years Day Labour Day Good Friday Easter Monday & Anz ..
Australia's biggest indoor amusement facility, Galactic Circus is a galaxy of games, a kaleidoscope of colour and a carnival of cosmic proportions. Offering the latest in high-tech attractions, m .. TEN PIN BOWLING, ARCADE, EATERY & BEER GARDEN BAYSIDE FAMILY ENTERTAINMENT General Public Melbourne, located in the suburb of Dingley Village is the the one stop venue for all of your family ent ..
Come along and ride the largest travelling Ferris Wheel in the southern Hemisphere located now at the Geelong Waterfront! The oldest piece of carnival, the Ferris Wheel brings magic and nostalgia t .. Play the latest craze.. Mini Golf in the Dark indoors at the Melbourne Docklands. With half the holes under UV lights and the remained under mood lighting, just put your way around Australia's icon ..
Gumbuya World is a friendly, family orientated theme park with beautiful natural bushland native animals and birds. Set on 430 acres, 45 mins from Melbourne CBD. With function rooms and lovely gar ..
Hedgend Maze and Laser Strike. A beautiful 20 acres of stimulating, fun filled activities for all ages. Hedgend offers a unique environment that stimulates a fun personal journey for everybody. ..
High Country Maze, Gardens & Events Maze Gardens Cafe Function Gardens (Events) Living our dream of building a beautiful garden and maze from a bare paddock . Creating a place for .. INSIDE THE BRICK HAS NOW CLOSED OUR STORE AT FAIRFIELD AND WILL NOT BE CONDUCTING PARTIES, HOLIDAY WORKSHOPS, LEGO EXHIBITIONS OR MAKERSPACES. ..
Insportz Indoor sports including Soccer, Cricket, Netball, Dodgeball and Beach Volleyball. INDOOR SPORTS BUNDOORA 39 Clements Avenue, Bundoora, 3083 Phone - 9467 2422 email - Bundoora@indoors ..
Intencity is a family entertainment centre where you will find a wide range of classic and contemporary video arcade games and a vast array of ticket and prize redemption games that appeal to children ..
Kew Traffic School provides a safe environment for children to learn road safety awareness and pedestrian skills. Kew Traffic School is one of the most popular recreation facilities in our city. .. Kid Factory is a SAFE INDOOR PLAY CENTRE in Dingley Village. Huge play structure, trampoline park, large toddler play area, jumping castle, sports court and 4 party rooms!! We have a unique pla .. Here at Kidz World we cater for newborns to 11 years of age. We have 3 massive jumping castles imported directly from America, and the toddlers have their own castle. There's a Baby and Toddle ..
A $30 MILLION mini city for kids is coming to Melbourne's eastern suburbs. The adult-free KidzMondo world is a miniature mockup of a city, complete with paved streets, a bank, airport, supermarket ..
Come down to Docklands where you can now triple your value, you can buy a combination of Glowgolf, Laser Tag3000 or a coffin ride, you can choose to pick one, two or all three Attractions. Glowgolf .. Experience the feeling of flying as you bounce, climb and fly! An indoor climbing and trampoline park providing over an acre of aerial fun for all the family, including: 100+ interconnected tra .. Leading the way with Coding and STEM school excursions. Delivery relevant Teacher Training on robotics and STEM. Hands on minds on school holiday programs, birthday parties and Sunday Fun day. ..
LEGOLAND Discovery Centre at Chadstone is the ultimate indoor LEGO playground. LEGOLAND Discovery Centre features two LEGO rides, five themed LEGO build and play zones, build classes from the Centr ..
Little Creatures in Balwyn is an Indoor Playground where the children can play and enjoy different activities while you enjoy great coffee and a variety of cakes and wraps. Child-size villages that ..
Little Hoods is dedicated to bringing fun, activity based games and sporting experiences to primary aged children across the Melbourne metro area, and is run by its founder, Scott Walker. Littlehoo ..
Lollipops Playland and Cafe is an indoor playland for children at Narre Warren and Bentleigh East. Casual Play. Birthday parties. Open 7 days a week 9:30am to 6pm. Equipment includes Playframe ..
For almost a 100 years, Melbourne's Luna Park has been a galaxy of amusements and sensations... Just for Fun! Melbourne's Luna Park is a galaxy of amusements and sensations. From the jaw dropping, ..
Luna Park Melbourne is open weekends, public holidays and every day during school holidays. Everything at Luna Park is Just for fun! Rides, games, attractions, parties, venue spaces and more! ..
Luna Park Melbourne is open weekends, public holidays and every day during school holidays. Everything at Luna Park is Just for fun! Rides, games, attractions, parties, venue spaces and more! Adventure and amusement parks where the family can enjoy a great day out. ..
Melbourne Cable Park is the home of the AQUA FUN PARK and two full size Cable systems and our amazing Urban High Ropes Facility. Melbourne Cable Park is a world class outdoor adventure centre, loca .. There is nothing like keeping the kids occupied for a couple of hours at a playcentre. Specially created for children, playcentres are safe and kid friendly. Greater Melbourne Awesome Fun Factor ..
Monkey Mania is Australia's newest and best indoor children's play and party centre. Providing entertainment for ages 0-13 yrs and the most exciting and unique birthday's around. -:- Ball O' Ci ..
Motionators F1 Simulators - Highly Addictive Fun Motionators is the only place you can experience professional full motion F1 simulators for your entertainment. Motionators is as close as you g ..
Movin'n'Groovin is a fun, high energy movement program. Each class incorporates dance, games, yoga and gymnastics for kids in Melbourne. It will get your little one (and maybe even you) a 'mov ..
Pheonix Park Community Centre is a hub of community involvement and learning, a welcoming, friendly and inclusive centre of activity that reflects and celebrates social and cultural diversity. The .. Play Space is an all-new adventure land for children up to eight years old. Unique to Sovereign Hill and designed around a goldrush theme, the space includes a sailing ship two-storeys high and a ..
Playtime is a world class arcade and amusement game destination. Let your inner child out to Play! The ultimate arcade experience! With numerous venues and more on the horizon, PLAYTIME is .. The Rabbit Hole Play Centre in Braybrook in western Melbourne is marketed as the biggest play centre in the Southern Hemisphere. This is a massive centre jam packed with activities to keep the kids ..
Melbourne's only city based Slot Car Racing Track. A very unique and fun event space. Newly refurbished. Boosts 2 x 40 metre 8 lane Formula 1 inspired tracks, offering competitive fun and excitemen ..
Jump Factory is now RUSH HQ! Australia's first and only indoor challange arena. RUSH HQ - INDOOR ADVENTURE PARK The new home of thrills has six amazing worlds in the one extreme gamified hub. Ea ..
Sidetracked is fast action, atmosphere, fun and adventure. Go-Karts, Laserforce, Amusement games, Tenpin Bowling, Mini-golf, Pinball and Pool tables. Party, Corporate and group functions. 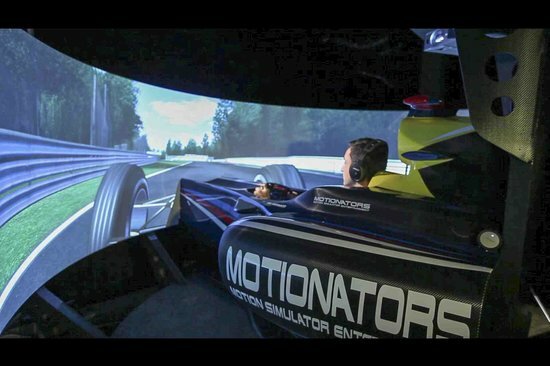 All ..
At Simulator World in Melbourne, we strive to bring you the closest possible experience to that of an F1 or V8 driver with our motion racing simulators. We are popular for business training sessio ..
One of Victoria's best adventure parks and playgrounds, SPC KidsTown provides children of all abilities and families hours of entertainment. Spread over five acres, KidsTown features fully fenced ..